The eighth season of American Idol premiered on January 13, 2009, and concluded on May 20, 2009. Judges Simon Cowell, Paula Abdul, and Randy Jackson continued to judge the show's contestants, along with Ryan Seacrest as host. The season introduced Kara DioGuardi as the fourth judge on the Idol panel. It was also Abdul's final season as a judge. 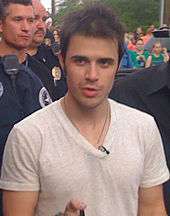 Kris Allen, a native of Conway, Arkansas, was announced the winner of the competition on May 20, 2009, defeating runner-up Adam Lambert after nearly 100 million votes. 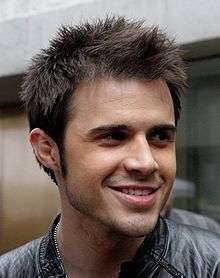 Kris Allen is the only married winner of the competition at the time of his victory. This was the second season where both of the final two contestants had been in the bottom three or two at least once before the finale, with the first being season three. 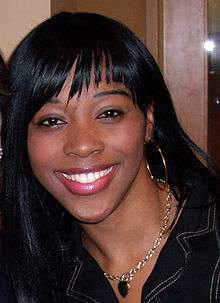 Seven contestants from this season were signed to record deals. The signed artists are Kris Allen, who was then signed to 19 Entertainment/Jive Records. In addition to Allen, Adam Lambert, Danny Gokey, Allison Iraheta, Lil Rounds, Anoop Desai and Michael Sarver. Several changes were planned for season eight. Fox Entertainment president Kevin Reilly stated that Idol would feature fewer "William Hung-like" contestants and "funny auditions," and would quickly move its focus to the potential singers during the earlier stages of the competition, thus moving the season at a faster pace. Mike Darnell, president of Fox's alternative programming, said the contestants would be more emotional and that viewers would learn more about them and their pasts than they had in the previous season. Songwriter and record producer Kara DioGuardi was added as a fourth judge on the panel. She had previously collaborated with Celine Dion, Hilary Duff, Britney Spears, Enrique Iglesias, Leona Lewis and Christina Aguilera, and produced several Top 40 hits. As a songwriter, she had already worked with several American Idol alumni and winners, including Kelly Clarkson, Carrie Underwood, David Archuleta and David Cook. Meanwhile, Ken Warwick became the new executive producer, as Nigel Lythgoe had left the show to focus on So You Think You Can Dance and his new show with Simon Fuller, Superstars of Dance. Idol Gives Back was canceled for season 8, as the ongoing economic crisis and recession, left Idol officials uncomfortable asking financially struggling viewers to donate. The semifinals saw the biggest change as the wild card round returned for the first time since the third season. After voters picked three finalists from each of three groups of 12 semi-finalists, the judges selected eight of the previously eliminated 27 semifinalists to return and perform a song on the March 5, 2009, show. They were judged by the panel, instead of a vote by the viewers, with four advancing to the finals. Although the finals had been billed from the beginning of the season as a set of 12 contestants, the judges announced at the last minute that they would be advancing a fourth wild card/thirteenth contestant, Anoop Desai, as well. The eighth season also marked the first time that auditions were conducted outside the United States, when the show traveled to San Juan, Puerto Rico to screen potential contestants. Several people from Puerto Rico were eventually selected for the semi-final rounds of the show. Another change in the Idol format is judges' save, an element previously used in France's Nouvelle Star (French Idol). The judges were given the power to exercise a veto on one eliminated contestant in the finals and spare them from elimination for that particular week. This can only be invoked up until the Final 5. The following week two contestants will be eliminated if the save is used because nobody is eliminated on the week that the save is used, except in season 11 where one only contestant was eliminated. The save can only be used once per season and it must be unanimous. The new format change was revealed on March 11, 2009. The first recipient of the Judges' Save is Matt Giraud. The twelfth season is the first season the judges' save was not used. Placings of the recipients have ranged from eighth place to runner-up. ↑ Mitchell performed his song as his alter ego "Norman Gentle". Note 1: It was never revealed, between Jasmine Murray and Jorge Núñez, who received the lowest amount of votes even though Jasmine was eliminated first. Note 1: With no elimination the previous week, there was a second "Top 7" week and two people were eliminated. 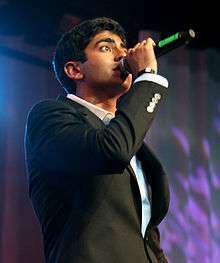 It was never revealed who, between Anoop Desai and Lil Rounds, received the lowest amount of votes, however Rounds's elimination was announced first with Desai being the second eliminee. ^Note 1 Due to the 2009 Speech to the Joint Session of the United States Congress on Tuesday, February 24, 2009, the performance show was moved to Wednesday, February 25 and the results show was moved to Thursday, February 26. ^Note 2 Ryan never specifically said who the bottom three or four was, but Megan Joy was brought up with Jasmine Murray and Anoop Desai with Jorge Nuñez for dramatic effect. Jasmine Murray was announced as the first to leave, followed by Jorge Nuñez. ^Note 3 Due to the White House Press Conference on Tuesday, March 24, 2009, the performance show was moved to Wednesday, March 25 and the results show was moved to Thursday, March 26. ^Note 4 Due to the judges using their one save, in order to save Matt Giraud, the Top 7 remained intact for another week. ^Note 5 The bottom two were eliminated on April 22. It was never announced who received the lowest number of votes, although Lil Rounds was announced as the first to leave, followed by Anoop Desai. 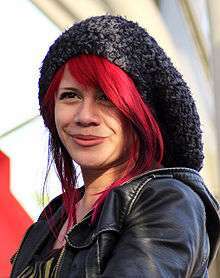 ^Note 6 It was only announced that Allison Iraheta received the lowest number of votes this week. The other member(s) of the bottom two or three were never revealed, and the safe contestants were announced in random order. Jamar Rogers, who was cut in the green mile round in this season of American Idol, would go on as contestant on the second season of NBC's The Voice and made it to the Semi-Final round before being eliminated. Jenn Korbee, who was cut in the green mile round in this season of American Idol, was a cast member in the American version of Hi-5 under the name of Jennifer Peterson-Hind. Wil Heuser, who auditioned for the show would later appear on the fourteenth season of Big Brother. ↑ Associated Press Archived August 28, 2008, at the Wayback Machine. ↑ "New 'Idol' rule could give judges veto power - Access Hollywood - msnbc.com". MSNBC. 2009-11-03. Retrieved 2010-08-25. ↑ American Idol | Do you know these KC singers? ↑ Release says San Francisco; arena is actually in Daly City, though part of its property is in San Francisco. ↑ "Top 13 – Secret Talents". Retrieved 2009-03-13. ↑ San Diego Union-Tribune Staff Writer (February 24, 2009). "'Idol' hopeful banks on theatrics to snag a spot". Archived from the original on February 27, 2009. Retrieved March 11, 2009. ↑ Rocchio, Christopher (2 March 2009). "Adam Lambert dishes on making 'American Idol's Top 12 finals". Reality TV World. Archived from the original on March 5, 2009. Retrieved 6 March 2009. ↑ "Idols move into the Idol Mansion.". Archived from the original on March 24, 2009. Retrieved 2009-03-30. ↑ "American Idol finalists are church worship leaders" Associated Press via WNCT, February 20, 2009. ↑ "Milwaukee man says he's prepared to give his all to make 'Idol' finals" by Tim Cuprisin, Feb. 13, 2009, Milwaukee Journal Sentinel. 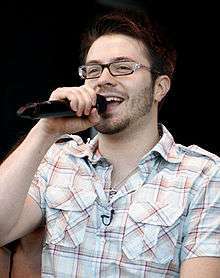 ↑ "'Idol's grieving Danny Gokey hopes to lighten up" Jill Serjeant, Feb 19, 2009, Reuters. ↑ Simon Cowell&Randy Jackson (2009-02-27). "Semi-finals 2 Wednesday". American Idol. Season 8. Hollywood, Los Angeles, California. Fox Broadcasting Company. 1 2 Los Angeles Times (February 12, 2009). "The Contenders: Meet Matt Giraud". The Los Angeles Times. Archived from the original on April 5, 2009. Retrieved 2009-03-14. ↑ Cordova, Randy (March 3, 2009). "Tempe woman shares unusual part of 'Idol' singer's success". The Arizona Republic. ↑ Concros, Erin (April 24, 2005). "At 19, nearly sightless pianist is used to breaking musical barriers". East Valley Tribune. ↑ "Homeschooler Among Top Contestants on TV Show". Home School Legal Defense Association. March 3, 2009. ↑ "Scott Macintyre, a 2004 AYAC Winner and an American Idol Finalist!". Herberger Theater Center. March 8, 2009. ↑ "2005 College Academic All-Stars First Team". USA Today. February 16, 2005. ↑ Marjorie Szaroleta. "Michael Sarver isn't ready to go back to oil rig". Associated Press. Archived from the original on 31 March 2009. Retrieved 2009-03-28. ↑ Archived March 17, 2009, at the Wayback Machine. ↑ "Top ... 13?! A report from the after-party | Idol Tracker | Los Angeles Times". Latimesblogs.latimes.com. 2009-03-06. Retrieved 2010-01-10. ↑ Lopez, Korina (2009-03-13). "Jorge Nunez: 'Everything is going to be great'". Usatoday.Com. Retrieved 2010-01-10. ↑ "Lil Rounds Leads Slew of Strong Semifinalists". The Hollywood Gossip. 2009-03-04. Retrieved 2010-01-10. ↑ Apel, Therese (2009-02-12). "MSA student in 'Idol' Top 36". The Daily Leader. ↑ Watkins, Billy (2009-02-24). "A star in the making? 3 Miss. cities happily lay claim to 'Idol' contestant Murray". Clarion Ledger. Retrieved 2009-03-06. ↑ "MJ On TV: "American Idol", Bashir Specials Tonight, "So You Think You Can Dance" In Near Future". MTV Newsroom. June 29, 2009. Retrieved 2009-06-30. ↑ Borzillo-Vrenna, Carrie (March 11, 2009). "American Idol: What You Didn't See". E!. Archived from the original on March 14, 2009. Retrieved March 12, 2009. ↑ Vary, Adam B. (March 18, 2009). "American Idol: On the scene at the Top 11 performance night—special appearance by Carrie Underwood!". Entertainment Weekly. Archived from the original on 21 March 2009. Retrieved March 18, 2009. ↑ Pastorek, Whitney (March 26, 2009). "American Idol: On the scene for Top 10 performance night". Entertainment Weekly. Archived from the original on 29 March 2009. Retrieved March 26, 2009. ↑ Archived April 25, 2009, at the Wayback Machine. ↑ Elber, Lynn (February 12, 2009). "Joanna Pacitti Disqualified From "American Idol"". The Huffington Post. ↑ Montgomery, James (March 11, 2009). "Will 'Idol' Phone Snafu Sink Alexis Grace?". Archived from the original on March 14, 2009. Retrieved 2009-03-15. 1 2 3 4 Wyatt, Edward (March 25, 2009). "'Idol' Group Numbers: Not So Live After All". The New York Times. p. C1. ↑ Kaufman, Gil (March 26, 2009). "'American Idol' Producers Admit Group Sing-Alongs Are Lip-Synched". MTV. ↑ "Report: Kris Allen's home state cast 38 million 'American Idol' votes". Realitytvworld.com. May 21, 2009. Retrieved February 24, 2011. ↑ "Conway reacts to Kris' win". Fox16.com. Retrieved February 24, 2011. ↑ Wyatt, Edward (May 27, 2009). "AT&T May Have Swayed 'Idol' Results". The New York Times. Retrieved April 23, 2010. ↑ Wyatt, Edward (May 25, 2009). "'Idol' Strives to Sustain Its High Note". The New York Times. Retrieved April 23, 2010. ↑ Wyatt, Edward (May 28, 2009). "'Idol' Producers Stand by Outcome". The New York Times. Retrieved April 23, 2010. ↑ "Fox: Allen won 'Idol' fair and square - CNN.com". CNN. May 27, 2009. Retrieved April 23, 2010. ↑ Ibarra, Sergio (May 21, 2009). "'American Idol' Finale Hits Ratings Low". Tvweek.com. Retrieved February 24, 2011.